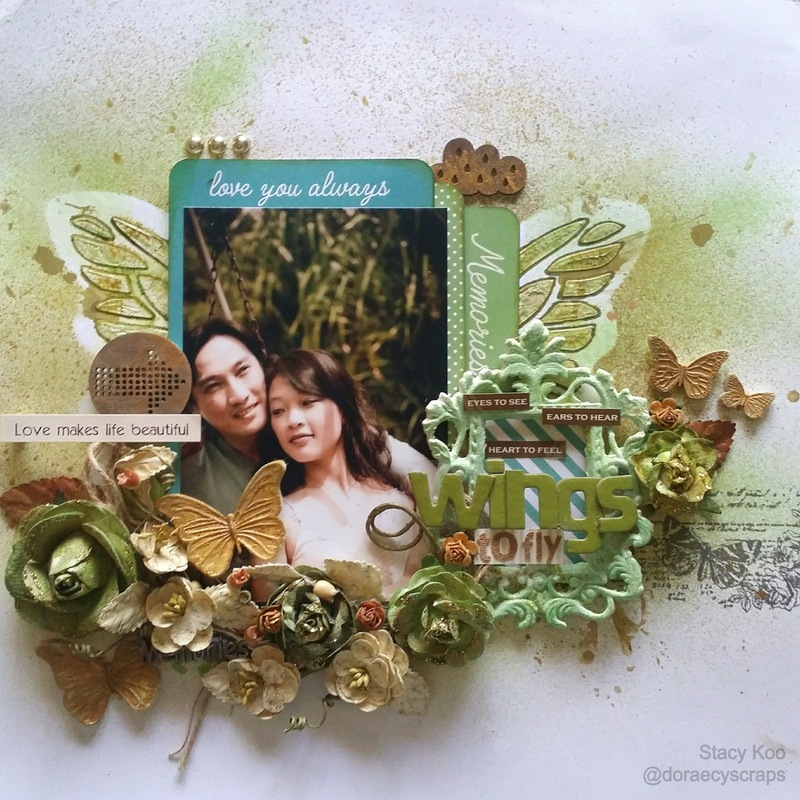 Here I am again with another LO inspired by Scrap Around the World~ Yes, I am totally hooked to the challenges each month, because the mood board and designers always inspire me for some reason. 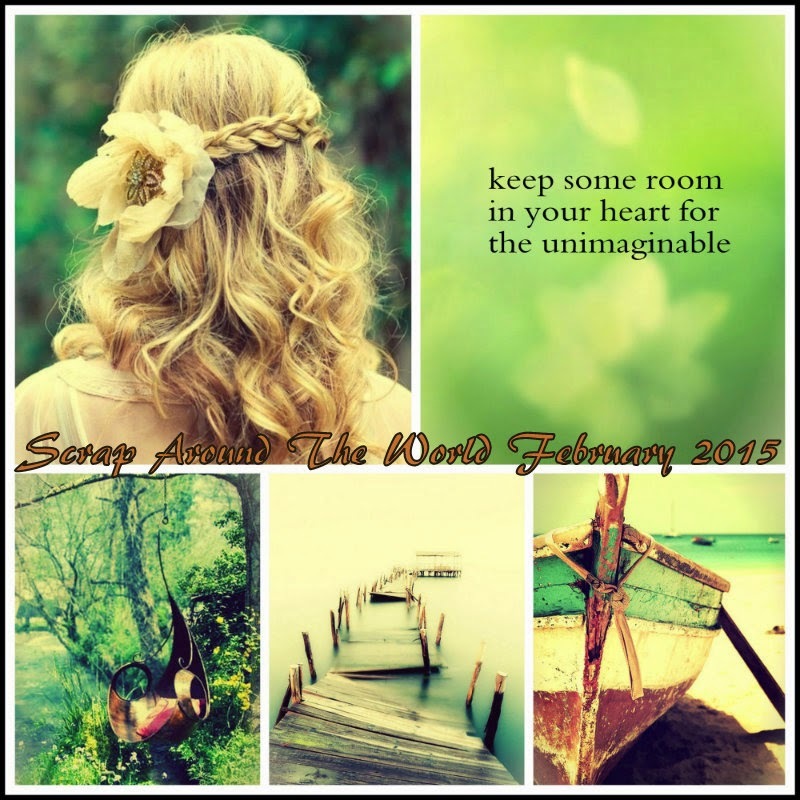 There are so many ways in this mood board which inspired me to create this layout. The first thing that came to my mind was the swing. 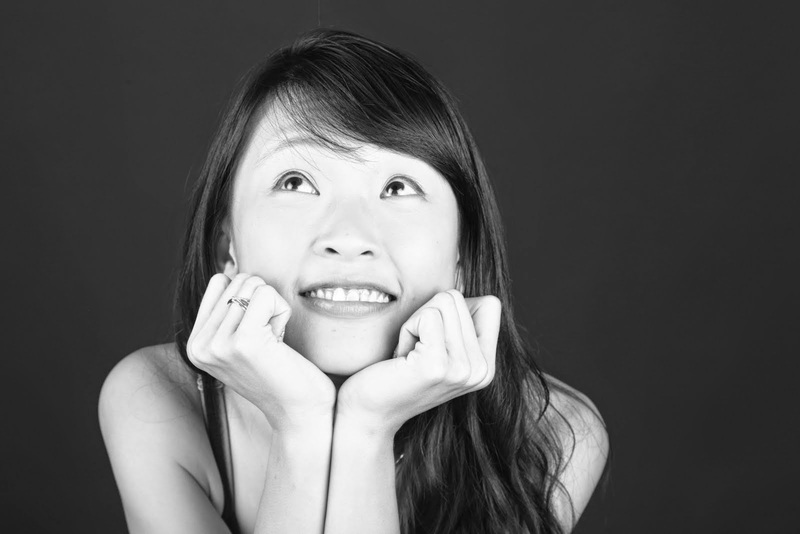 Some time ago, my bf and I decided to have some photoshoot taken. There was this photo of me lying on his shoulder on the swing. In many ways, like my previous post, my bf is also my best friend. He never forces me to any decision I make, but always encourages me to live by my decisions and then supports me in every possible way. When I took up scrapbooking and started to be teaching in the LSS, he knew I would spend lesser time with him but he still supported me in my decision anyway. In fact, he would sometimes help me with my class material preparations when the class volume is overwhelming. No matter how rocky the waters were, I know he is there for me. His support gives me the courage to walk on, and the wings to fly. So I created this layout with a hidden message behind the photo. I rarely write any sentiments for my layout but this was an exceptional feeling that I wanted to document. 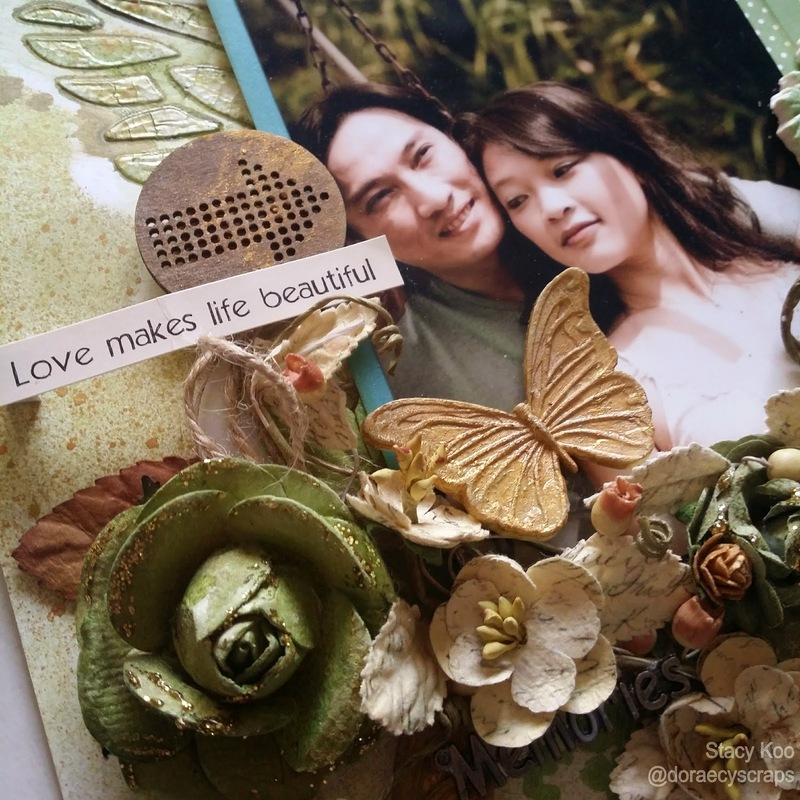 In this layout, I used the Maya road butterfly stencil to create the background (using crackle textured paste and Prima mists) Then I layered with some Prima flowers and Maya Road chipboard embellishments. Next, added a stamp on the right end to balance this layout. 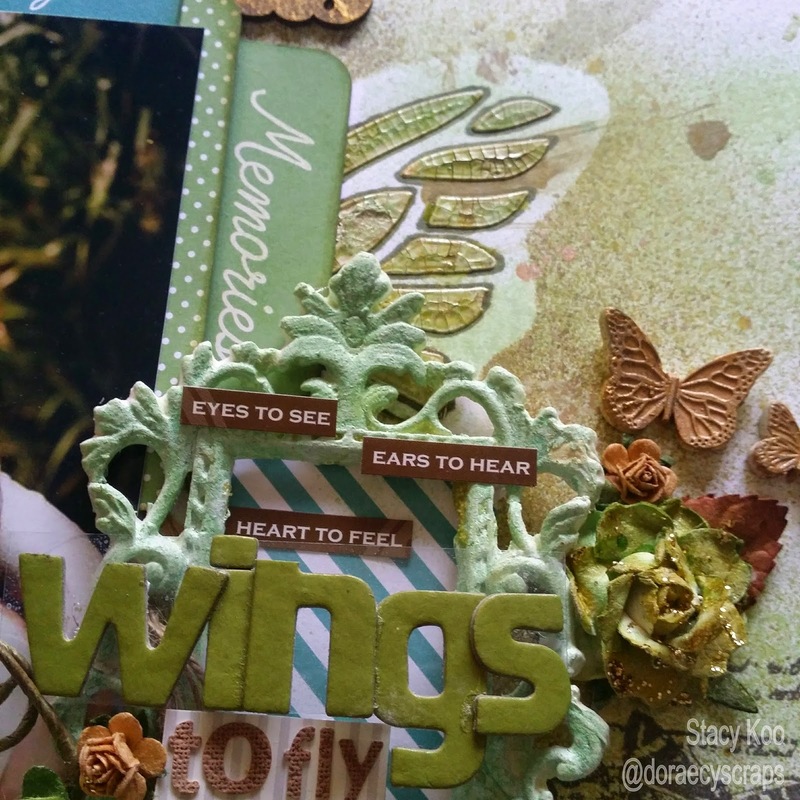 For the title element, I chose to use some air dry clay to create a frame and highlighted the word "Wings" by adding transparency behind the word. Lastly, for I added in some butterflies (air dry clay again) to complement the enormous amount of flowers I have used. 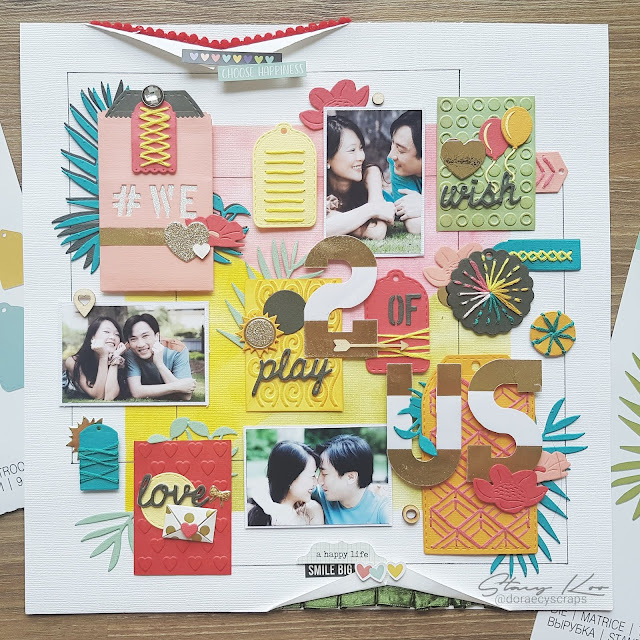 Hope you have enjoyed this layout, and do pop over Scrap Around the World blog for exciting challenges each month and DT reveals (twice a month). 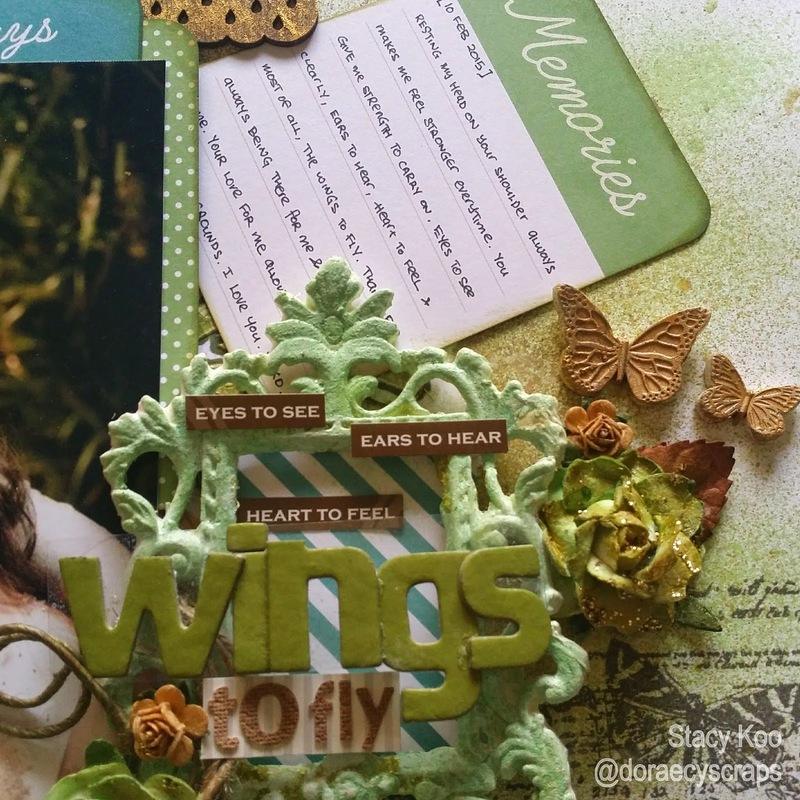 Very beautiful work, I love the mixed media butterfly wings! Thank you for joining our challenge at SATW! p/s: I love your colors in your layout very much! Beautiful layout! I like the design very much with lots of pretty details! So beautiful layout! Thanks so much for playing along with us at SATW!